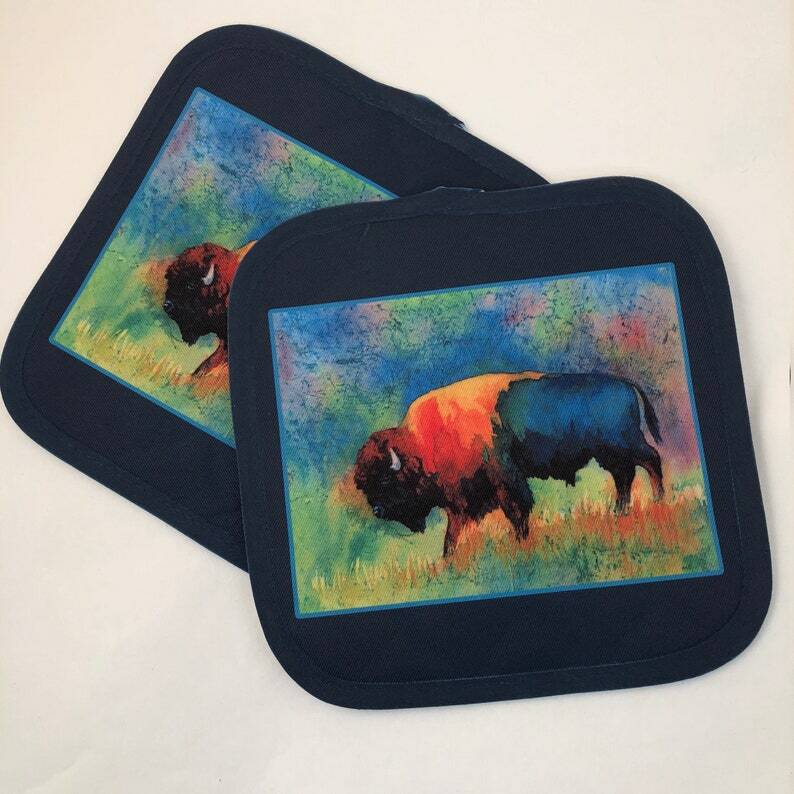 Buffalo art print pot holders, These beautiful hot pads measure 8"x8 " with hanging loop, silver metallic back to resist heat. 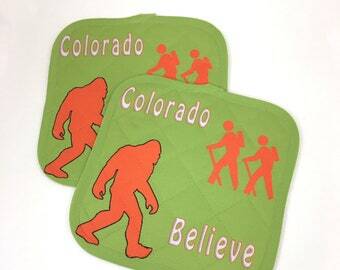 Prefect gift for your country cabin or condo. Unique Kitchen Decor with beautiful graphic art, cotton/poly blend.